For parties of 7 or more please telephone us directly for availability. 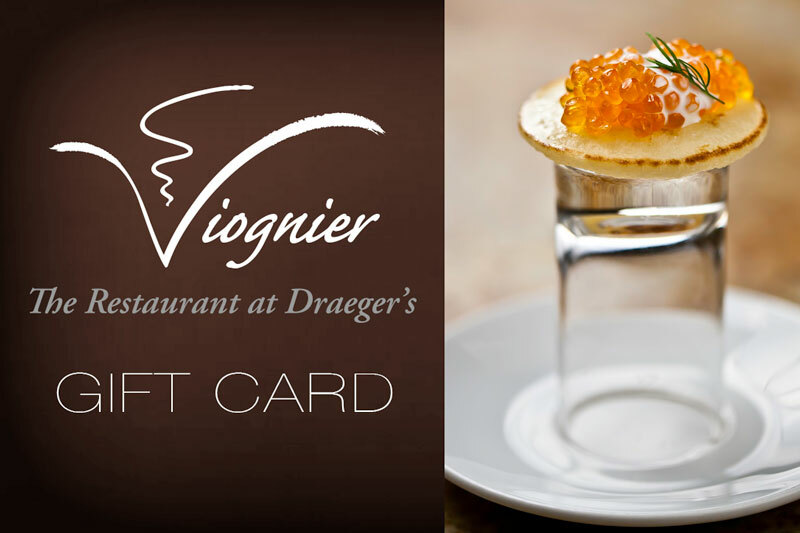 Viognier gladly accepts Visa / Mastercard / American Express. Take Highway 101 North to the 3rd Avenue exit, West. 3rd Avenue to B Street. Left on B Street, 1 block to corner of 4th and B, 222 E. 4th Avenue. Take Highway 101 South to the 3rd Avenue exit, West. Take Highway 92 East to Highway 101 North. Entrance to Draeger's Viognier parking garage and parking lot is located at the intersection of 5th Ave. and Ellsworth.